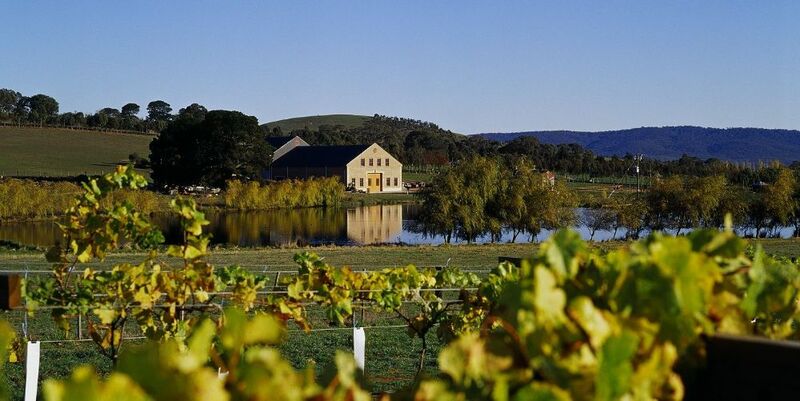 Macedon is a stunning backdrop in which to grow premium cool climate grapes and Curly Flat are a great Victorian producer in terms of both quality and value. After 20+ vintages of racy Chardonnay and savoury intense Pinot Noir the wines are better than ever and we're very happy to carry them at MW Wines. 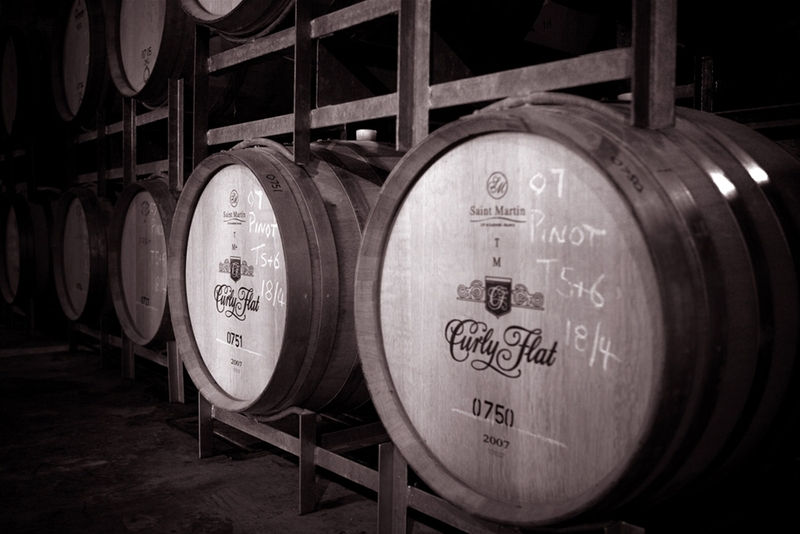 This week we offer a full array of Curly Flat including some current and back vintage wines at really sharp prices. Further to the delicious estate wines we also have their reserve Pinot called simply 'The Curly'and their ode to Chablis, Lacuna. There are few wine merchants out there (if any) that can boast such an amazing collection of these wines so we recommend taking full advantage while you still can. Volumes are limited and this pricing will apply on a first come first served basis until Tuesday the 16th of April. All wines are available now at our special offer prices for the next 5 days only. To place your order simply click the links below or return the attached form, by email, by fax on 03 9419 6970 or callus on 03 9419 6990. No hesitation here. It’s bang on, a beauty. It’s a cool climate style of chardonnay, refreshing, tangy, citrussy, but with nectarine and honeysuckle notes as flesh and fancy, and with attractive licks of oak-spice and fennel rippling through the finish. Line, loveliness and length. This is Curly Flat's unoaked chardonnay, by no means its second label, even less a wannabe sauvignon blanc; crisp, vibrant and insistent from the word go, its grapefruit/apple/white peach flavours are strung from the stainless steel wire of the wine's backbone. Whoosh! Rips across the palate with saline, green apple crispness. Tight and stern, but with super drinkability and a chalky, almost wet-slate-like mineral trim. Perfume is white flesh stone fruit and green apple; great to sniff. We won’t mention the bit of Burgundy beginning with ‘Ch’ but there’s a feel of a wine driven by acid, fruit and chalkiness here. Good wine this. Characterised by its length. This is a classic chardonnay release from Curly Flat. It has ageworthiness written all over it – though of course it drinks well now. Spotlessly clean lemon, slate, oak-spice, peach and hay flavours. Slinky, cedary oak. Almost sweet-fruited but not quite; just so. Beautiful. Latent power. A Curly Flat signature. There’s a deep pool of fruit sitting deep in the palate, not drowning, not waving, just resting there, waiting for time to pull back the covers. Spicy/creamy oak, lemon curd, grapefruit and white peach, a sheet of sweet cedarwood tucked neatly about it all. This is chardonnay in straw-coloured guise, and yet it feels young;the real evolve is still ahead of us. It will come. It will be worth the wait. Oh the texture and the length. Sort of a pop and slosh and don’t think just drink kind of feel here. Cherry cola scents with pickled cherry and a touch of briar. The palate is squeaky textured, bright in young, cherry fruitiness, a touch of anise and pepper, neat, crisp finish. It slides through the mouth with ease and finishes with a gulp of pinot 101 satisfaction. Spot on at the bucks it feels. This is a particularly stalky, stemmy, peppery release, the firmness of its tannin and giant strides of savouriness putting structure well ahead of fruit. In style at least its seems more like a reserve or cellarworthy release, rather than an entry or ready-to-rip version. Not that there’s anything wrong with that. At this early stage it feels over-wrought but how it reacts to time will be both interesting, and the ultimate decider of its quality. Estate-grown; open-fermented, 4% whole bunches, 3-day cold soak, wild yeast, 20 days on skins, French oak (25% new) for 20 months. The bright crimson colour and fragrant bouquet lead into a supple, full-flavoured (cherry/plum/spice) palate with immaculate length and balance. Will stand tall against its forebears. Silken, highly aromatic, has fruit depth and yet it’s light on its feet, racy almost, and correspondingly lengthy. This is a Curly Flat Pinot Noir for the true believers. Fleshy, succulent, deep, smooth and spicy. A standout. It’s the sternest, crunchiest, most brooding Curly Flat Pinot Noir I can recall. It’s routinely a wine of heft, and cellarworthiness, but this release is a rock. Tannin, acid, fruit and oak all combine to powerful effect. It’s simultaneously slippery smooth, creamy in fact, and surly; it’s like an approaching cold front: beautiful, intense, intimidating. The colour is not strong but no matter. We have spice, alpine herbs, orange rind and stewed black cherries. We have acidity forming a clear stream. We have sets of tannin. This is a monty for the cellar. All wines are available now at our special offer prices for the next 5 days only. To place your order simply click the links above or return the attached form, by email, by fax on 03 9419 6970 or callus on 03 9419 6990. Copyright © 2019 MW Wines Pty Ltd, All rights reserved.